You watch TV, right? And what type of display do you use? LED LCD? Maybe OLED? Or you decided to go with plasma? There are different types of displays and each one of them has their own advantages and disadvantages. But how did TV display develop over time? And who actually came up with the idea of TV? You can find all of that, and something more, in this article. Ever heard about John Logie Bard? Probably not, but he is a man who started with television. We can’t say that he invented television because that device was not known as television, it was actually a mechanism that generated an image when it was rotated. But it helped with development of real television and Logie Bard, a Scottish inventor born in 1888, deserves some credit. 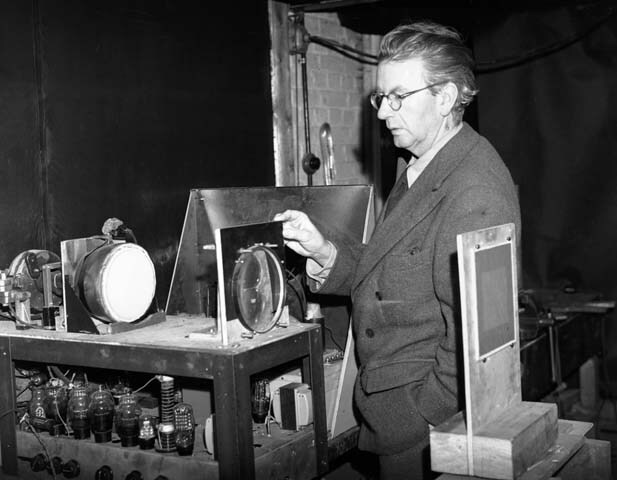 When he started building his “television” device he was 34 years’ old and in 1926 he demonstrated his mechanical television system to Royal Institute of Britain. That lead to increased popularity of his invention and brought him more money to make the device perfect. In 1930 he started transmitting images with the help of BBC transmitters and that can be called as the first television service in the world. war when Farnsworth’s patents already expired so he didn’t make much money out of them. 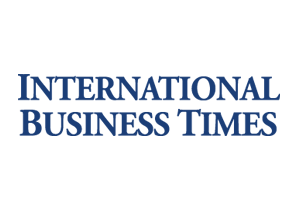 RCA continued to develop their own technology and actually created the television history. The important thing is, they left all the Farnsworth’s contributions out of the history. 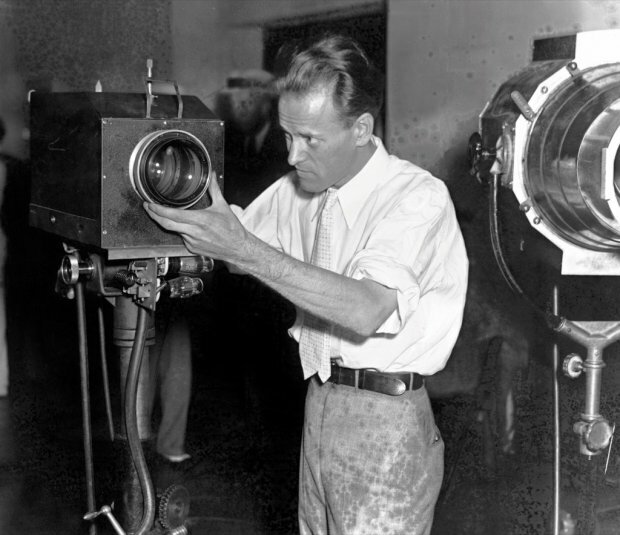 So, the real debate about true Father of Television still exists but I think we can all agree that Phil T. Farnsworth deserved to be called that. So, now you know something about television history. But what about the display of that same television? The complete evolution of TV display is pretty interesting. 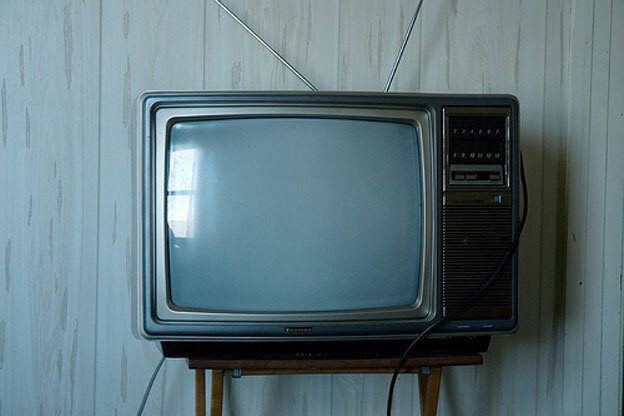 The evolution of TV display started along with the first television. But the actual word “television” was coined in 1900 when Constantin Perskyi came up with the idea to combine Greek and Latin roots to mean “far-sight” at the World’s Fair in Paris. The next big thing about evolution of TV display happened in 1922 when CRT (cathode ray tube) was made commercial. CRT was made out of electron gun that formed images by firing electron onto phosphor-coated screen. Only four years later Baird, who was mentioned above, created a Televisor with 30 lines of resolution system that ran at five fps (frames per second). But first commercial televisions became available thirteen years later in 1939. They were introduced at the World’s Fair and they had 12-inch screens. Only one year later a gentleman called Peter Goldmark invented a colored television system that was based on three-color disk with 343 lines of resolution. But we had to wait another thirteen years to see first colored TV. In 1953 electronic color for television was introduced in U.S. and year later the first national color broadcast took place with the Tournament of Roses Parade in 1954. The first liquid crystal display (LCD) was built in 1964 by George H. Hellmeier. In that same year three geniuses called Donald Bitzer, Gene Slottow and Robert Willson invented flat plasma display panel (PDP). Three years later colored television outsold black-and-white television for the first time in the history and in five years’ time more than half homes had colored TV sets. The huge thing happened in 1980 when quantum dots were discovered. That allowed huge amount of new color possibilities. Quantum dots are actually semiconductor crystals stimulated by photons and can be easily manipulated to create different colors. Only one year later NHK demonstrated HDTV with 1,125 lines of resolution. The first plasma TV in full-color was introduced back in 1995 and only one year later first HDTV television was broadcasted. The new era started in 2005 when Samsung announced world’s largest OLED TV with 21 inches and a resolution of 6.22 million pixels. Three years later Hyundai created first stereoscopic 3D television in Japan. In 2010 largest Plasma 3D TV with 152 inches was made by Panasonic. Only two years later LG announced first 3D UHDTV with 4K system and resolution of 3840 x 2160 (8.3 megapixels). 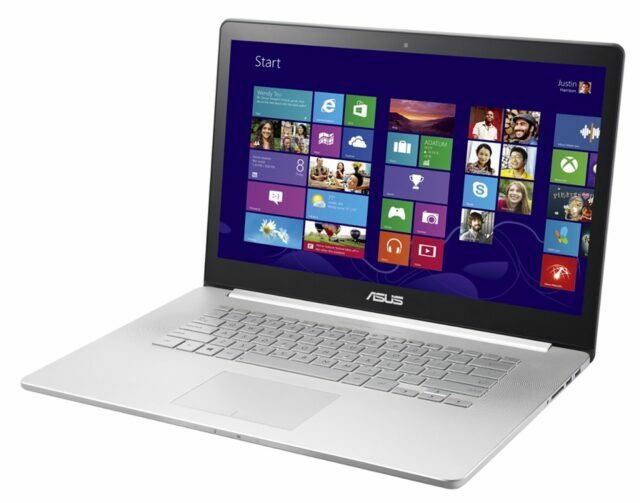 In 2014 3M announced that Asus will leverage the 3MTM Quantum Dot Enhancement Film (QDEF) for the new Asus NX500 Notebook PC that should boast 50% more colors than current levels found in typical LCD devices. That should unlock lots of new options for all LCD displays and that includes televisions. Well, that’s about it for the history of displays. What exactly do we have today? And what can we expect from the future? It can be hard to decide on each one because every type has its own advantages and disadvantages. But don’t worry, just check out a simple guide below. When talking about brightness it is important to know that every pixel creates its own backlight while LCD uses backlight and the brightness depends on brightness of the backlight. If you want a screen that will have full brightness everywhere then LCD is the thing for you. If you need brightness in the middle of screen then pick OLED. Plasma is not as bright as these two so it is kind of a loser here. Black level on OLED TVs is almost perfect since it’s possible to turn the pixels off. If you have plasma TV it is also possible to control the pixels but you can’t get them to be completely black like on OLED TV. LCD TVs can easily turn the backlight off but it’s not the same. OLED is a definite winner here. What is contrast ratio? It is a difference between the darkest image part and the brightest part on the screen. It is one of the most important things to look out for when deciding on the picture quality. OLED TVs have an infinite contrast ratio thanks to the possibility to turn of pixels. Plasma TVs have the same option but it’s not quite good as with OLED TVs. Since you can’t turn off the pixels on LCD TVs the contrast ratio is the worst among these three types. OLED is a winner once again. Lots of OLED models have the resolution o 1080p. When talking about plasma TVs it’s almost impossible to make 4K plasmas while we have Ultra HD 4K LCDs. The winner here is LCD along with OLED. Another important thing to consider is the viewing angle. Almost every LCD TV will look much worse if you look at it from the side. They lose contrast and colors can change. That is the big disadvantage of that technology. Plasmas won’t give you that problem, just like OLED TVs. If the price is important to you then don’t even consider buying OLED TVs. There are lots of cheap LCD TVs while plasmas are often much cheaper than the others. And the thing related to the price is energy consumption. You can save a lots of money on energy if you buy LCD TV. 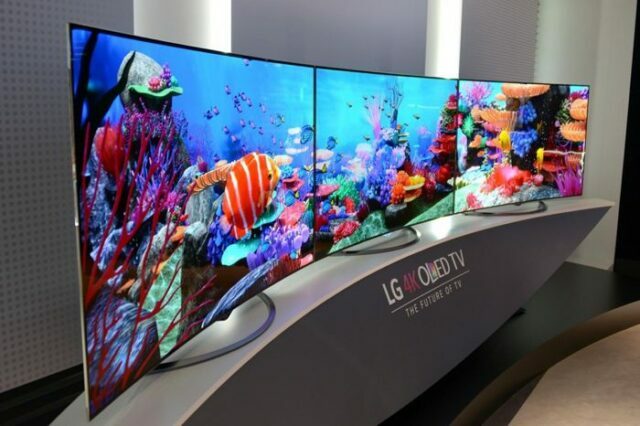 OLED TVs often consume lots of energy while there are plasma models that consume less energy than LCD TVs. What is the conclusion? Well, if you want to highest quality of the picture then OLED is the right TV for you. Plasmas are excellent for dark rooms but they could look worse in some brighter areas. LCD’s could look much better in brighter rooms buy you can make the necessary adjustments to make plasma look better. My choice here would be OLED TV because it comes with highest quality and I’m sure that OLED TVs will be much cheaper in the future. So, what do you think? What type of display you like the most? And what type does your TV use? Share your opinion with us. To see some more information about the evolution of TV display from the very beginning up to 3D UHDTV and 4K TV’s we have today check the infographic below. Enjoy!